Shoot Your Own Documentary Photography Project! 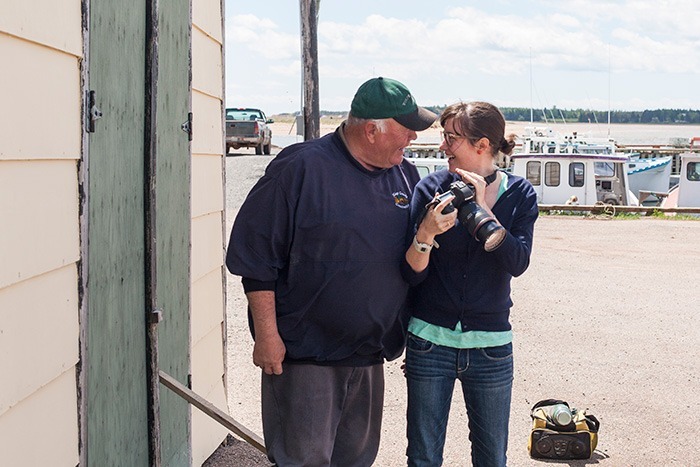 Go behind the scenes of a documentary photography project & learn how to create your own. 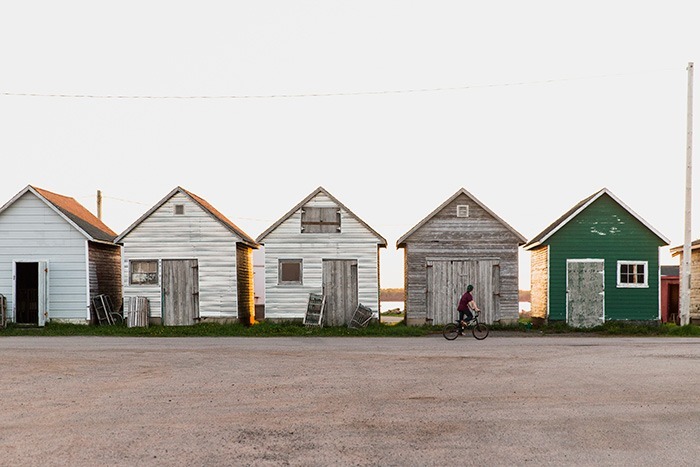 "If someone is planning on telling a story with their photography, Lobster Island is a great guide." Now, you may be thinking that this sounds neat, but you don’t plan to shoot a documentary photography project, so why bother going behind the scenes and learning more about it? Well, I can tell you right now, that no matter what type of photography you do, or what level you’re at, shooting a documentary photography project can help you become a better photographer, and help your business stand out in the crowded marketplace. Documentary photography is about capturing a part of life that you find interesting, and sharing that story with the world. So take a second a think about a topic that you find fascinating – something you’d love to learn more about, or see firsthand. You can take that passion and turn it into a documentary project! There’s a lot of talk out there about the importance of doing personal work, but not a lot of practical advice on how to actually make it happen. It’s hard to find the time to do a big project, and figuring out the logistics can be overwhelming. That’s why we’ve written this eBook. We had wanted to shoot a documentary project for years, but we didn’t know where to start, so we kept putting it off. Finally, after dreaming about it for long enough, we decided to jump in and just do it already. No more waiting. You have to make your own opportunities happen! 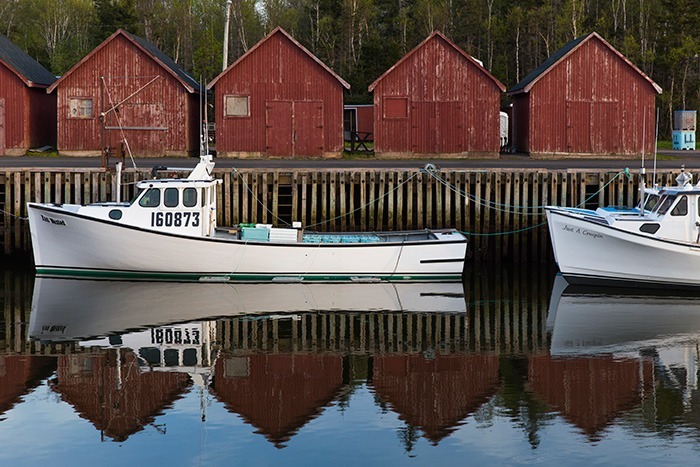 In the spring of 2013 we traveled to Prince Edward Island, a small province on the east coast of Canada. There we documented lobster culture, from catching it to eating it, and published the results as a project called Lobster Island. But we didn’t have a guide. We had to learn everything by trial and error, and trust me, there were some errors along the way! But the important thing is that we did it. And then we wrote down everything we learned so that you can do it faster and easier. You don’t have to make the same mistakes. You don’t have to wonder “What next?”. Everything you need to know is in this eBook, beautifully presented. Take a Pick at These Sample Pages! 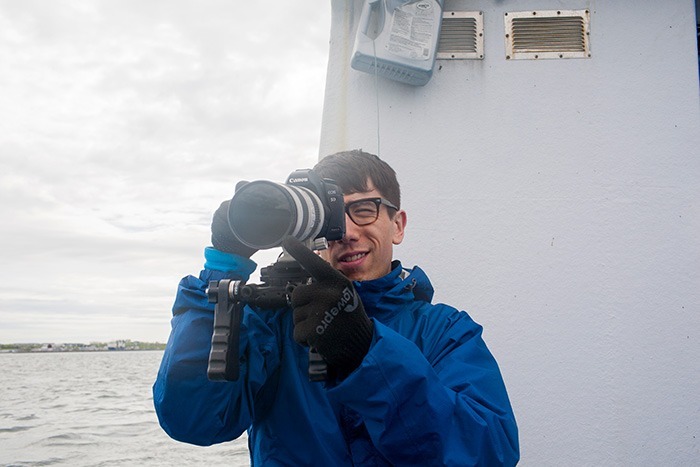 Shooting a documentary project can be a lot easier than you may be thinking. 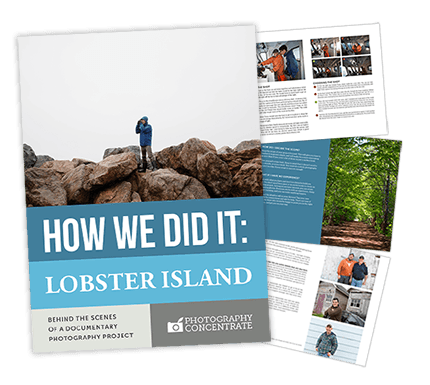 We spent a month shooting Lobster Island, but in this eBook we’ll show you how to plan a project that’s perfect for you, even if you only have a day or two to spare. We’ll guide you through some key questions to ask yourself to find a topic that works for your interests and your situation. Then we’ll help you think through the logistics: How to do your research, create an itinerary, choose your output, and more. These are the things that can make or break a project, and we’ll make it easy for you to ensure that you’ve covered your bases before you jump in. Even if you’ve never done something like this before, we’ve gone into enough detail to make it completely possible for you. But we’re still going to make it fun and exciting! Lobster Island was a great adventure, and in this eBook you get to come along with us! We’ll share exactly what equipment we brought, what we couldn’t live without, and what should have stayed at home. Taking too much means you’re wasting precious energy lugging it around. Plus you’ll get tips on how to travel with your equipment, how you can save money by renting, and what made us decide to buy instead! 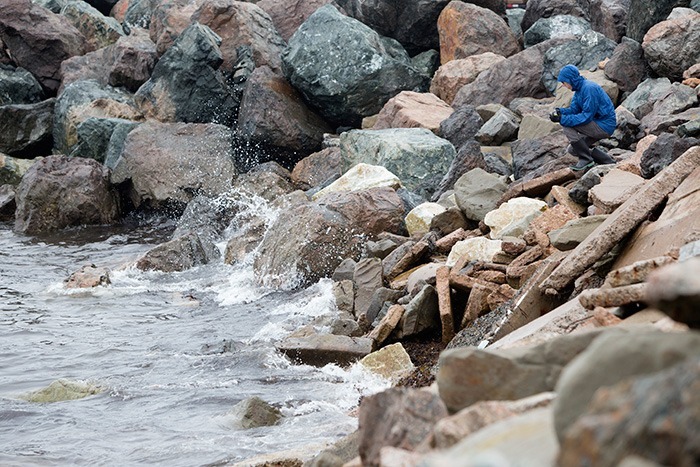 Then, you’ll come behind the scenes with us as we touch down on Prince Edward Island, and start the shoot. The first week was tough – we were overwhelmed! But we had some simple ways to get over that initial fear, and start getting great shots right away. Sometimes the best way to learn is by seeing the thought process that goes into the work, so we’ve taken eight of our favourite shots from the trip, and given you the story of how they were created. Then you’ll get easy-to-follow advice on how to use this information to make your own images stronger, from getting better compositions, finding the right light, and asking strangers for a photo! 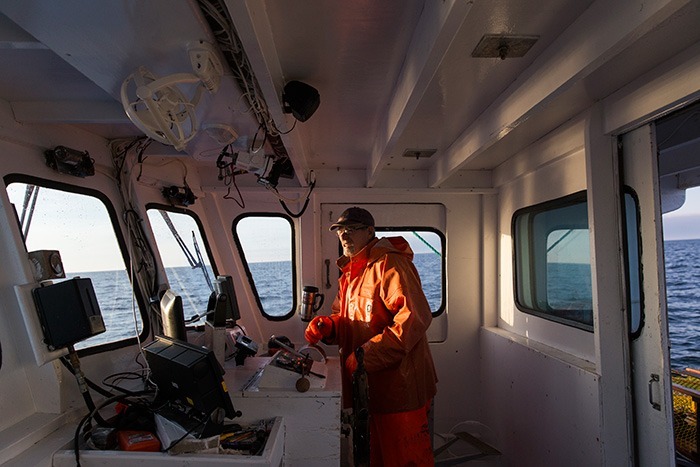 The highlight of our trip was when we spent a day on the ocean, photographing how lobster are caught. The day presented some of the toughest shooting conditions we’ve ever experienced. But we managed to walk away with great images and a fascinating story. We’ll take you through the entire day, from the 3:30AM wake up call, to the final portrait of the crew, and share everything we learned. This was one of the most intense and enlightening photography experiences we’ve ever had, and we can’t wait to share all the details with you. Along with photos, we produced several videos for our project, to add a unique dimension to Lobster Island. Video is becoming a bigger part of storytelling today, and is a fantastic way to help your project stand out. We’ll share how we approach video, the gear we find most useful, and how to get into it without spending too much money. You’ll find out exactly which settings to use, what types of shots to get, and see how we keep the video editing process quick and easy. There was one part of our daily routine that kept things moving forward, and helped us to continually improve while we were shooting: a nightly review session. Sitting down and analyzing the day’s work was critical to our success. We’ll share exactly what you can look for when reviewing your own photos, and how you can use that information to ensure you’re creating something awesome. Along the way we ran into some roadblocks, and had some low moments. But we found ways to adapt, get creative, and make sure that we finished what we set out to do. We’ll show you ways to work through those challenging times so that you can finish what you started. 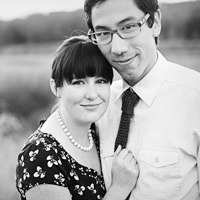 We’ve tried doing this type of photography in the past, but kept failing in one key area – creating the output. When you get home you fall back into your regular routines, and your project can easily get pushed aside. With this eBook you’ll learn how to get past this tricky spot, and make sure your project sees the light of day. It’s a photographers dream to hold a book of their own work in their hands, and we wanted to make that happen with this project. We had no experience with publishing, but we dove in, learned tons along the way, and ended up with a gorgeous fine art product that we can sell. We’ll take you through that whole process, show you just what to expect when self-publishing, and give you tons of tips on how you can do it yourself. Imagine having a book of your own on your bookshelf. It’s completely possible (and really, really cool)! 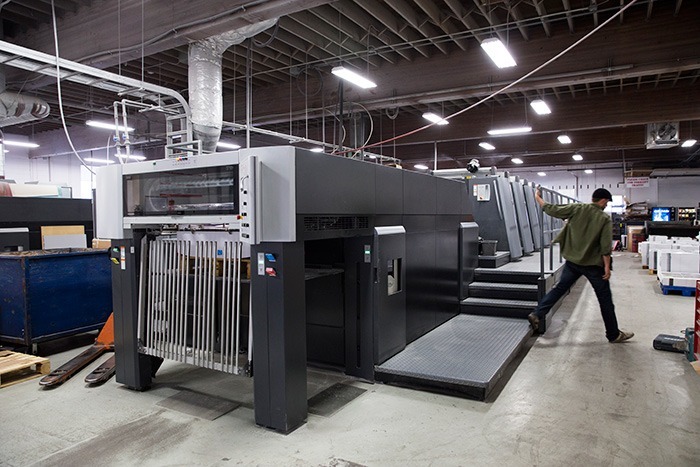 The results of our project: A physical, tangible, beautiful book! Want a copy for yourself? Head over here! "Two weeks out from my first overseas adventure, the Lobster Island tutorial was exactly the inspiration I needed to make my own webpage to record the trip. And it wasn't just the awesome photography advice that was so helpful; from website hosting, to advice on WordPress templates, it was so straightforward and easy to follow. Thank-you so much!" When you purchase the eBook you’ll also get the bonus Project Worksheet – a printable guide that will take you through the essential questions you need to answer to make your project a reality. Simply print it out, grab your favourite writing instrument, and you’ll be on your way to making your dream project a reality! 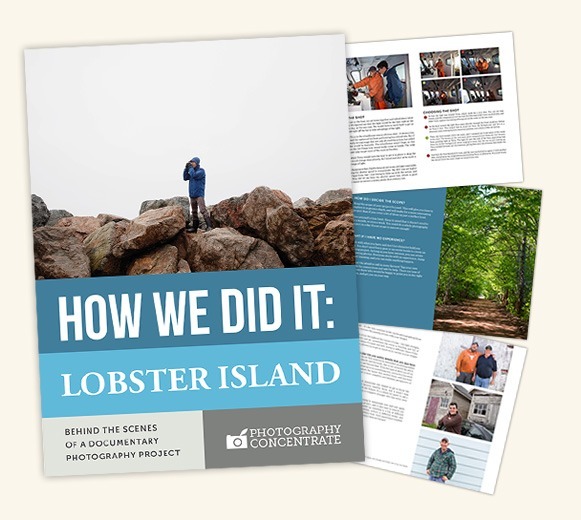 When you grab the tutorial, you'll also get a PDF copy of the Lobster Island book that we printed, so you can see firsthand how we took thousands of photos, and turned them into a narrative story. Once you’ve seen just how we did it, you’ll feel more confident that you can do it yourself (and you totally can!). 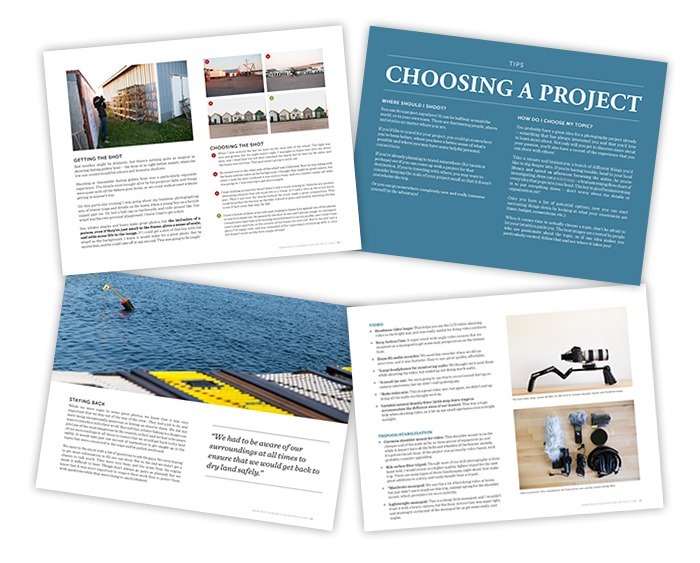 A beautiful, photo-packed 104-page eBook that shows you exactly how we planned, shot and created our project. Written a part photo adventure story, and part instructional guide, it's fun to read and you'll learn a ton! This worksheet will guide you through the practical questions you need to answer to turn your dream project into a reality. 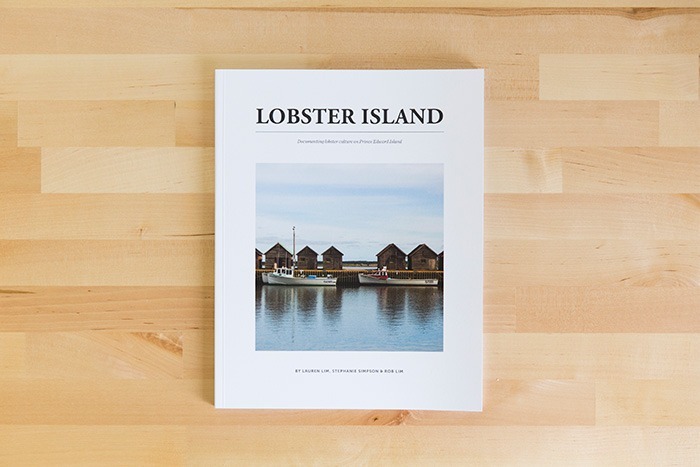 You'll also get a PDF copy of our beautiful Lobster Island documentary book. Enjoy photos, stories and recipes from Canada's east coast, and see the final results of all of our efforts! This tutorial comes in digital download format (a zip file). The eBook, bonus worksheet and PDF Lobster Island book are all .pdf files that can be easily viewed on your PC, Mac or iPad. Once they’re on your computer, all of the files can be viewed offline, anytime. And they’re yours to keep – forever!Re-read them as many times as you like, so you can be sure the information really sticks! Get the entire tutorial, including the eBook PLUS the valuable bonus worksheet and a PDF copy of our documentary book, for only US$67, and be on your way to creating your own incredible project! ...And bring your dreams to life! Shooting a documentary photography project can be one of the most rewarding experiences of your career. You get to explore a topic you love, and create amazing images, and then share your story with the world. But learning how to do it by trial and error takes a long time, and can be frustrating. So check out How We Did It: Lobster Island instead. You’ll find what you need to get started, in an easy-to-follow and super fun format. Then take all your awesome knowledge, and start working on your own story. The world wants to hear it, and you’re the perfect person to tell it! P.S. Remember, we made this a no-brainer for you. You get a full 60 Days to try How We Did It: Lobster Island so there is zero risk for you. If you aren’t totally and completely satisfied, get 100% of your money back. No questions asked. Get it now and get your dream documentary project rolling!